"This is an article from the Daily Press that was reprised after Coach Conn passed away." Thanks, Tim! I found this in my mother's pictures. I knew she had known Mrs. Conn while they were in college, but I didn't recall that she had seen them at the reunion. "Several years ago when passing through NN, I stopped at one of my favorite places to eat … Hot Dog King on Jefferson near Ivy Farms. As I entered I saw a familiar face - Coach Julie Conn. He was sitting at a table with a young man I didn’t recognize. I approached and said, “Coach” - he didn’t look up. The guy sitting with him explained that he was Coach Conn’s nurse, and explained his medical problems, emphasizing the loss of memory and lack of awareness. I explained that I had run for Coach Conn in the 60’s. I went on to explain that I didn’t appreciate him when I was a kid, but over the years I had gained tremendous respect for the man as I thought back over things he had said and done for his runners. I said to the nurse, 'Please take care of Coach; he took care of hundreds over the years'. "I went to the counter, got my to-go order of two footlongs to get me back up the road to my home in Roanoke. "As I was leaving, I walked by the table again. Coach Conn slowly reached out and touched my arm and said, 'My four D’s - Douthat, Dorner, Dossett and Doonie'. Tears filled my eyes - he remembered. We were four of his distant runners in the 65/66 season. Actually “Doonie” was Ronnie Timberlake - but Coach called us his 'four D’s'. The nurse explained that sometime out of nowhere a very specific memory will come back. "Several years later I was to find out first hand how that works when my mother died from Alzheimer’s. "My favorite teacher - Julie Conn.
"Thanks, COACH. Save me a place on your team. I’ll try harder; I promise." I was certainly no "jock", but Julie inspired me to do the best I could with the body I was given. Today, he could not survive in an era of political correctness and "getting in touch with your feelings." Julie most often motivated you by getting in touch with the seat of your pants with a well-placed kick. Is it any wonder that we all loved him and that we unofficially named our new gym after him? Yes, tomorrow I’ll turn 75. Never thought much about it before, but here I am and a lot us sure ain’t! happy to do extra laps at high speed, and smirking at the apprehended - now doomed to die young. “N” sweaters, and wondering what went wrong. In his later years my grandfather used to say to his friends on parting, "May you live long and die happy." I was in NNHS and can still hear him yelling "MOOOOOOVVVEEEE THE BALL!!!!!! Pantiotius" (a Greek player). Atlantic Fleet varsity team. Coach Conn talked him into playing high school basketball during his senior year. Everyone has a Julie Conn story. And what great Julie Conn stories these are! Thank you, Gentlemen! with a proven record of winning which speaks for itself. One of the most outstanding traits about Coach Conn little know to most students was his compassion. he had one of the biggest hearts of anyone I have known. around their shoulder and give them some words of encouragement. Moreover, probably not known was his work of compassion, because he made no public display. to seek assistance for some young athlete who did not have suitable clothing to travel with a team. for travel to other events or schools while representing the Typhoon. looking like he stepped out of a fashion magazine. while working in the equipment room next to his office. but a wonderful human being in our midst quietly touching our lives as we grew and matured. Another little tidbit along this line. Julie, Jr. was an excellent basketball player, and of course played for the Typhoon. But, Dad Julie was coach, and made him sit on the bench much more than he should have, not wanting to be accused of showing favoritism to his son. not wanting the same thing to happen to him. THAT is when & why Julie quit coaching basketball, & hired Bill Chambers! And, as we all know, Harry was good enough to be first team guard on a state champion team or two!! I’ve been asked by Allan Hanrahan (NNHS ‘55) and his wife Renee Koskinas Hanrahan (NNHS ‘56) to send you the following information on Memorial Endowed Scholarships at Christopher Newport University. The scholarships were established in honor of two NNHS educators who were quite instrumental in our lives, and these scholarships will continue to assist CNU students in their educational endeavors. Contributions can be made at any time by NNHS Alumni and any others who would like to make a donation to honor the memories of Coach Conn and Miss Gildersleeve. "NNHS Alumni will be interested to know that there are memorial endowed scholarships at Christopher Newport University in the names of Ethel M. Gildersleeve and Julius Conn. Thanks, Carol. Wishing you and your family a very Merry Christmas and a Happy New Year!! even more enjoyable reading to have a Crabba write this. On Aug. 1, the Peninsula Sports Club will honor Charlie Nuttycombe, who coached track and football at both Newport News and Menchville high schools for more than 30 years. How do you teach teenagers values when they are rarely paying attention? Sports is an ideal venue to accomplish this because at least the kids must pay attention in order to acquire the requisite skills and make the teams. Coaches, just like teachers, come in all sizes and abilities to influence. Typhoon Coaches Charlie Nuttycombe and Julie Conn had a major influence on me when they showed that they were concerned about my athletic development in spite of the fact that I was a Crabber. The effect was minor at that time. But as the years passed, I found I was drawing on their unselfish interest in me and using that to modify the way I interacted with colleagues. It is amazing how small but genuine expressions of interest and concern by coaches, teachers, and mentors can have long lasting positive effects on the recipients. Through these actions, many times, are transmitted the essential knowledge of how to interact with others. Thank you Coach Nuttycombe for being an inspiration to all those you touched. The rivalry was intense between the Typhoons and the Crabbers in the early 1960’s as it always had been. As a Crabber high jumper at a meet at Newport News High in either 1963 or 1964, I was amazed when coach Julie Conn and later coach Charlie Nuttycombe spoke to me and offered some suggestions to improve my jumping technique. The significance of that was lost on me for a number of years but as I matured, the testosterone influence diminished, and I was faced with other challenges, I realized that two of the most important things in life were treating people right and effective teamwork. Several times during my professional career when I questioned some aspect of my performance, I drew on the lessons learned years before from the two coaches whose efforts to help me might have had a negative impact on the “final score” but they were trying to build my confidence. They were more interested in the development of a young man than they were in the “final score” of the track meet. The more we all focus on the development of young people, like Coach Nuttycombe always did, the better off the community, the state, the nation, and world will be. Thank you Coaches Nuttycombe and Conn for collectively having been one of several inspirations in my life. All the talk about coaches has encouraged me to pass on my own story about coach Helms and Julie Conn. In the 11th grade, I had a disagreement with coach Helms about staying in after school because my mom did not have time to write a note one morning to allow me to miss gym class due to a sore leg. At one point we were in turn presenting our viewpoints in Julie Conn's office while coach Conn was observing and not taking sides. At some point coach Helms prefaced his argument with "if I can beat this into your thick head" and, being the egalitarian that I am, I came back with the same. Eventually the argument was taken up to Mr. Keesee's office and after a lot of talk about how he knew my grandfather and other relatives, along with the threat of suspension, I was eventually convinced that it was in my best interest to comply even though I still didn't agree. The next year, I saw Julie Conn in the hallway after school and he said "Hi, I haven't seen you since you ran coach Helms off." I could easily tell by the wide grin on his face that he was teasing. I know that Julie Conn could be a ball of fire when he was angry, but I always felt that he had his heart in the right place. "Your thick head" ?!? OUCH! If I recall correctly, Buz, you graduated 22nd in your class of 249. Surely something must have been absorbed! Thank you so much for sharing this classic story! I thought this might add something to Coach Conn's File. 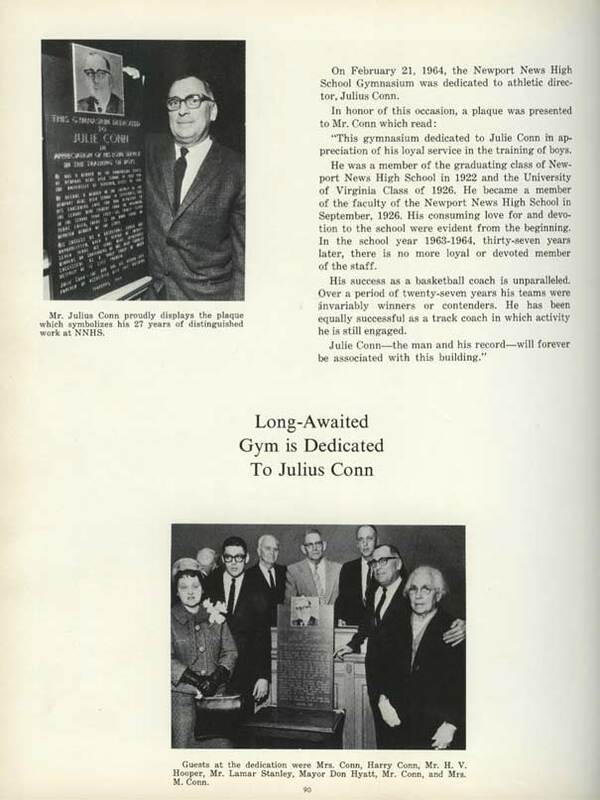 This is from the Virginia Hall of Fame that is out of Portsmouth, VA.
Coach Conn was inducted in the class of 1976. If any man has ever truly been a living legend it is Julius Conn, Virginia’s premier track and basketball coach at Newport News High School for over 40 years. A native of Newport News and one of seven children, Julie Conn spent 56 years in his city’s school system as student, athlete, coach and athletic director. A diminutive distance runner and basketball player at the University of Virginia, he began coaching at Newport News High School in 1927. His basketball teams never missed playing the State Virginia High School League Tournament and they never lost a first-round game. 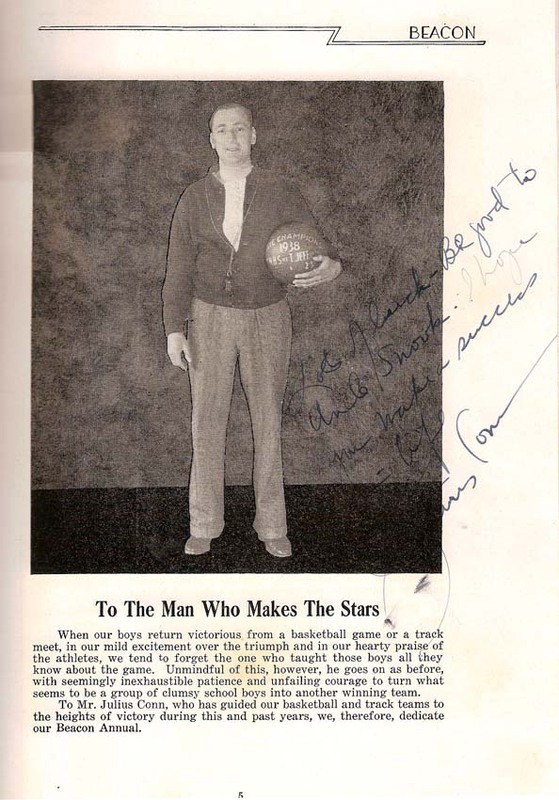 When he gave up coaching basketball in 1953, Conn’s teams had won State titles in 1931, 1938, 1942-43, 1951-52. The Typhoon was also South Atlantic champion his first year at its helm. Newport News High School dropped track in 1931, but restarted it the following year under Conn, winning its first State title in 1934. In all, the Typhoon would race to 21 outdoor titles. In the final stages of his career, which ended in 1969, Conn combined with co-Coach Charlie Nuttycombe to lead Newport News High School to State titles in eight of his last nine years at the school. Conn has been honored by numerous universities, clubs and coaches’ associations, topped by his 1968 recipient as the Coach of the Year by the National High School Coaches Association. After Conn retired from the city’s school system, he joined the Virginia Squires administration. WOWZERS! What a great bio! Thank you, Bob! Newport News High coach Julie Conn, who died about 25 years ago, became legendary for his tough love, charity, success — and temper. Julie Conn was angry, as was often the case. He took the basketball and faked a pass directly at Jimmy Seward's face. He might have been trying to frighten away the smile that was Seward's typical reaction to the volcanic tirades of the legendary Newport News High School basketball coach. But as Conn faked, the ball slipped from his hands, hitting Seward in the face and bloodying his nose. "He got mad at Jimmy for not ducking," said Billy Leggette, who played with Seward on Conn's state championship teams at Newport News in 1951 and '52. "Coach Conn just had that kind of temper, where he had to get all over you and chew you out, and I remember he'd tear T-shirts off of Jimmy. "But he was just trying to make him a better basketball player. Coach Conn loved Jimmy. He loved all of us. Ten minutes after an outburst, he'd say something that would make you want to do anything for him." Said Doug Dickinson: "The man knew how to love." "He would cuss you one minute and kiss you the next," said Dickinson, who won six team and 20 individual track and field titles under Conn. "All you'd remember was the kiss." Conn's boys had not forgotten as they reflected recently on their coach, who died 25 years ago in September. 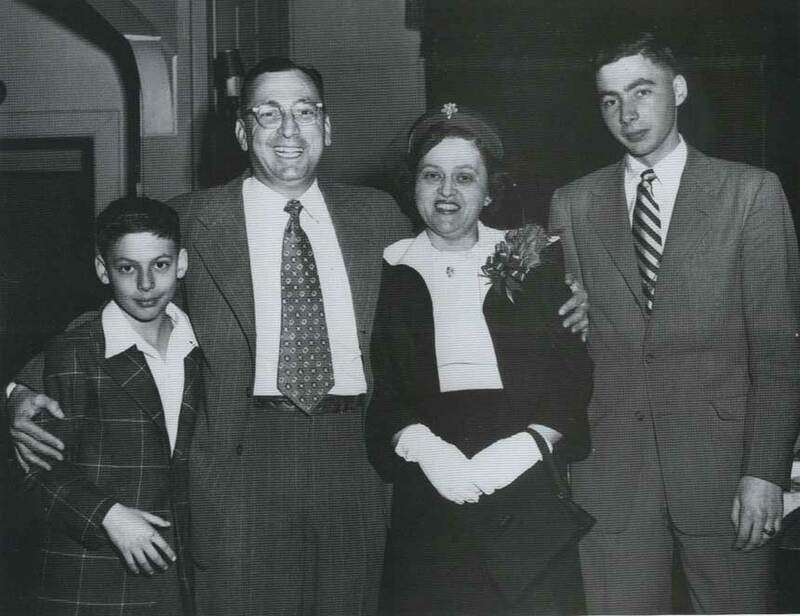 To them, Conn epitomized tough love long before the phrase came into vogue. It is unthinkable today that parents would allow a man to roam the halls of a high school, cigar in mouth, spit flying, as he screamed profanely at their sons one moment and put his arm around their shoulders the next. But Conn, a man never given to half-measures, was tough even for an era when coaches were given more latitude in their treatment of players. "He was different than most of the coaches even then," Leggette said. "Our football coaches never got in our faces the way Coach Conn did." But he taught them, too, about competition and sportsmanship and life. He served as a surrogate parent for many athletes whose families could not provide them with some of life's basic necessities. So parents trusted their boys to Julie Conn for 45 years, from 1926 to 1970, when mandatory age retirement forced his signature whistle and stopwatch into a drawer. During his career, he turned the sons in this shipyard town into champions. 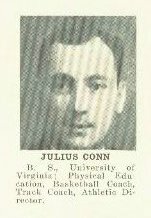 Conn's basketball teams went 321-77 against high school competition from 1926-53, winning six state titles in 12 appearances in the finals. His track teams amassed an amazing 330-4-1 dual-meet record, while winning a combined 26 indoor and outdoor state team titles. Conn the athletic director hired basketball coaches who carried on the winning tradition he started, and he brought in a co-coach in track who helped build his track dynasty to new heights. "Newport News High School was about winning," said Woodside athletic director Al Dorner, a captain on Conn's cross country and track teams during the mid-1960s. "That atmosphere was pretty special. He built that culture. Conn's love of Newport News High began when he was a standout athlete for the Typhoon. 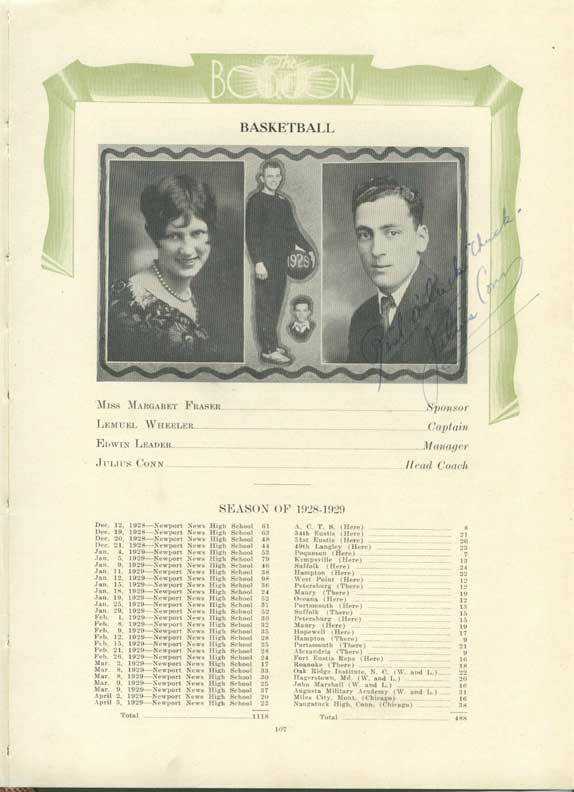 He played football, basketball and baseball before graduating in 1922. He returned to Newport News in 1926 after graduating from the University of Virginia and became the Typhoon basketball coach at age 21. Conn guided the Typhoon to state finals in his third and fourth seasons, losing by one point each time to Jefferson Senior of Roanoke. His teams won the first of their six state titles in 1931, beating George Washington of Danville 29-19. Intense defense (usually zone) and ball movement were the linchpins of his system. Bill Castelow, a guard on Conn's 1951 and '52 state championship teams, says Conn was a basketball innovator. "He's the best high school basketball coach that's ever been around here," said Castelow, who served as the Apprentice School head coach for seven seasons. "The things that people think are fairly new, we had in the early 1950s, even though they went by different names. "They say the matchup zone is 20 years old, but we had one in the '50s. He had the four corners long before (former North Carolina coach) Dean Smith did. We called it the freeze. We had box-and-one defenses and the pick-and-roll. "He was ahead of his time." Castelow experienced Conn's brand of tough love in a practice during the 1952 championship season, when he twice threw the ball over the head of Buddy Ballard, the team's short but scrappy guard. Conn shrieked that if Castelow did that one more time, he'd kick him out of the gym. The next time the ball came to Castelow, he threw it to the ceiling. "Coach Conn yelled, 'Get out! Get out!,'" Castelow said. "So I hopped over the rail and was headed to the dressing room. Then I heard these feet running behind me. "He put his arm around me and: 'Aw, Bill, come on back. You know how I am.' "
Though Conn often motivated inches from his players' faces, he made his most inspirational speech into a bathroom vent. The Typhoon trailed Portsmouth's Woodrow Wilson by five points at halftime of the 1951 Group One (AAA) state basketball championship game, when he asked an assistant coach to get him a chair. Conn used the chair to speak into a vent that adjoined the Typhoon locker room with Wilson's. Wilson had won their previous meeting that season by 19 points, and Conn wanted the Presidents to think the Typhoon was giving up. Legendary basketball coach Lefty Driesell heard the story when Conn hired him as the Typhoon coach in 1957. "Coach Conn said, 'Fellows, Wilson is the greatest team in the history of Virginia high school basketball,' " Driesell said. "Then he said: 'All I'm asking is that you not lose by more than 20 points. "He closed the vent, jumped off of the chair and said: 'This is the sorriest team in the state. If you don't get out and beat them in the second half, I'm going to kick all of your butts. "That might be one of the greatest moves ever made by a coach in state championship history. I learned a lot about motivation from Julie Conn."
The Typhoon rallied from eight points behind late in the third quarter to win 44-42. The next morning's Daily Press labeled it Conn's "Greatest triumph." Leggette said the city celebrated wildly. "We played for the city," said Julie's son Harry Conn, who went on to play point guard for Driesell's 1958 state titlists. "That was the entertainment for the blue-collar workers on Friday night." 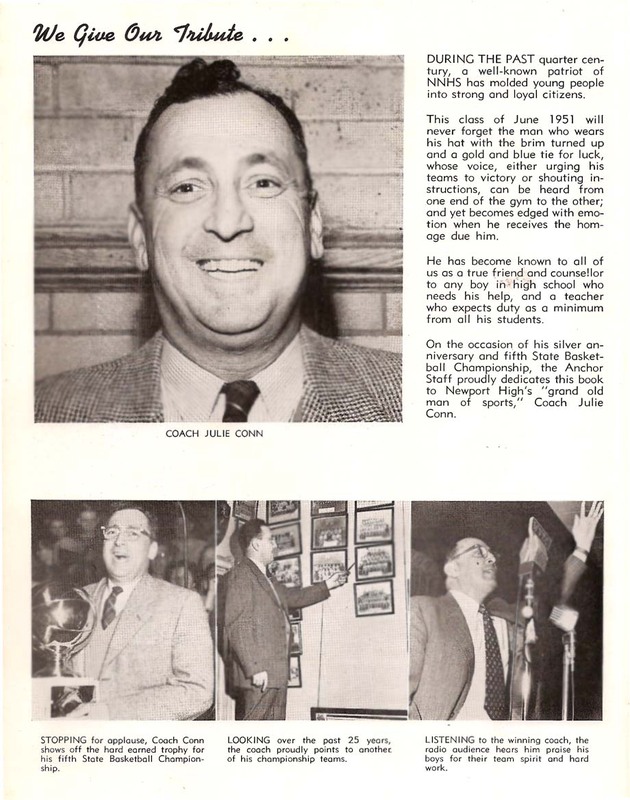 Conn retired as a basketball coach following the 1953 season. 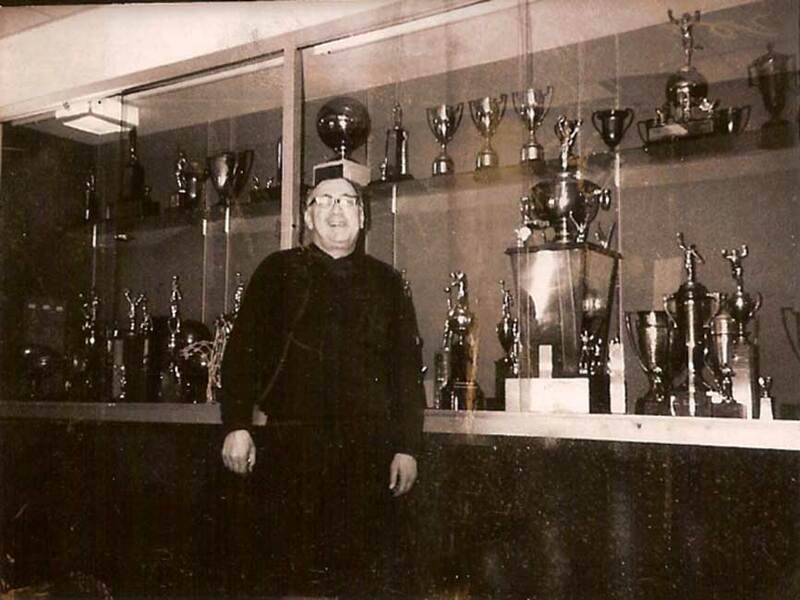 His greatest coaching glory came off the hardwood, in the sport he loved most: track and field. Conn became the track coach in 1932 and guided the Typhoon to the first of 26 state titles in 1934. 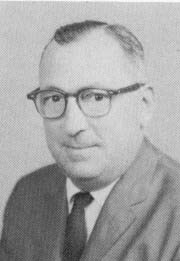 Newport News had won 12 state titles when Conn hired Charlie Nuttycombe in 1957 and named him co-coach a year later. Together, they won 14 indoor and outdoor state titles during the 1960s, with Conn motivating as always and Nuttycombe providing an influx of technical expertise. Nuttycombe believes that Conn's emphasis on the most technique-oriented events was the key to the school's big-meet success. 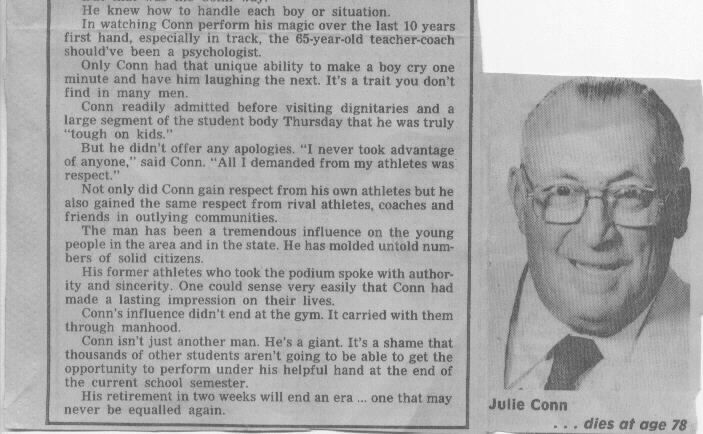 "Mr. Conn always said that no one is going to walk onto the track from a gym class and beat you in the events that require a lot of coaching," he said in a 2004 Daily Press interview. "We scored a lot of our points in the events like the pole vault, discus and hurdles." Newport News athletes won at least one gold medal in every state meet event during Conn's tenure. But the Typhoon dominated the most difficult technical event — the pole vault — winning 21 state-meet gold medals. "We won some of our state championships before the running events started," Nuttycombe said. The Typhoon developed the depth it took to produce its amazing dual-meet record because Conn nurtured all of his athletes. "Mr. Conn had a list of (about 20) sayings that he coached by," Nuttycombe said. "One was: 'Know where your bread is buttered, but once practice starts, your last man is as important as your first.' "
That meant that Conn knew who his best athletes were, but he understood the importance of coaching up his lesser athletes. "He treated the scrubs the same as the state champions," Al Dorner said. "I was an average runner, but he gave me just as much attention as Doug Dickinson and the other stars." Nuttycombe says that Conn instinctively understood the strengths of athletes such as Dorner. Dorner was a leader, so Conn named him the captain of his cross country and track teams. "That meant a lot to me," Dorner said. "I've taken a lot of what I learned from Coach Conn into my own coaching." That included working athletes harder than they thought they could be worked. Dickinson says that Conn's and Nuttycombe's workouts were brutal. "The practices were unbelievably competitive, and we looked forward to them more than the meets," Dickinson said in a 2004 Daily Press interview. "The coaches kept practice records for everything, like bound drills, and we competed for those records against the ghosts and legends of the Newport News tradition." 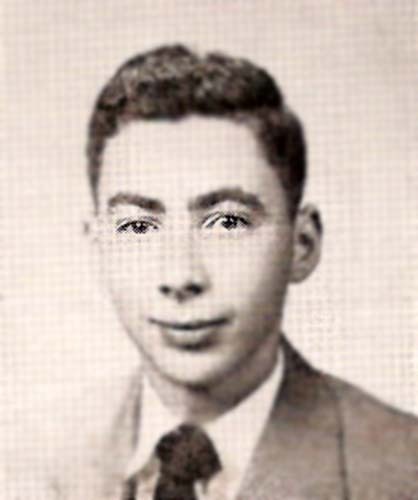 Conn turned 65 shortly after Dickinson and the Typhoon won the school's final state track title in 1969, and he was required by the school system to retire in 1970. His rich legacy went beyond victories and state titles, and it included an impressive coaching tree. Conn, the athletic director at Newport News from 1930 to 1970, hired a succession of basketball coaches who won big and made names for themselves: Elmo Stephenson, Bill Chambers, Driesell, Warren Mitchell and Charlie Woollum. From 1953 to 1971, the Typhoon won four state titles, once won 57 consecutive games and produced a 100-game home winning streak. 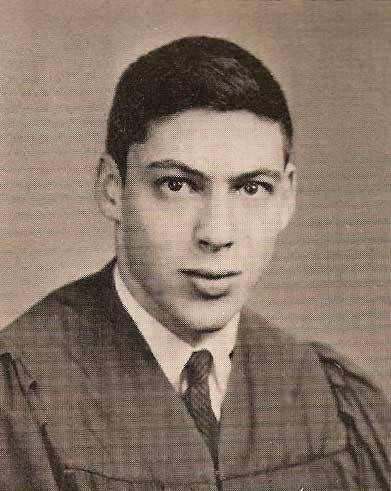 Stephenson went on to become a judge, while the other four became Division I basketball coaches. Some of his track athletes became coaches in the city. 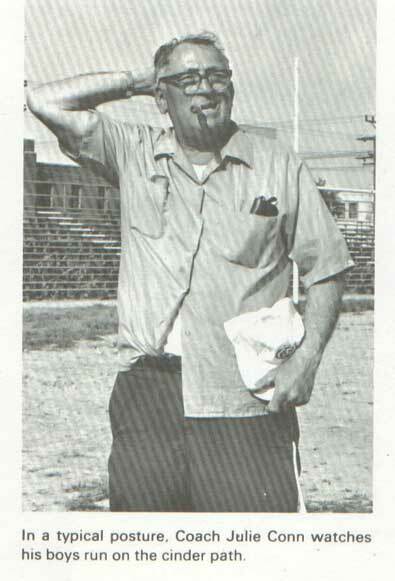 Multiple state champion Fred Anspach coached at Ferguson. Dorner guided Denbigh's cross country teams to 13 Peninsula District and six regional titles. Dickinson coached at Menchville and guided Christopher Newport University to its first conference titles. Dickinson, who has battled a series of illnesses since his sophomore season at Penn State in 1971, says Conn's life lessons helped him. "He taught me what competition is all about," he said in a Daily Press interview after Conn's death. "It's not about competing against others as much as yourself." Dickinson said Conn also taught him compassion. Harry Conn, a retired dentist, echoed that sentiment. "He loved Newport News High School beyond family," Harry Conn said. "I had an extended family of people he was taking care of that I didn't really know about until years later." "He knew every banker, lawyer, dentist, doctor and store owner in the city," Dickinson said. "Heck, he'd coached most of them. If a kid had bad teeth or needed a job or a place to live, Coach Conn would help them. "They'd all help out the kids because they loved Coach Conn so much." 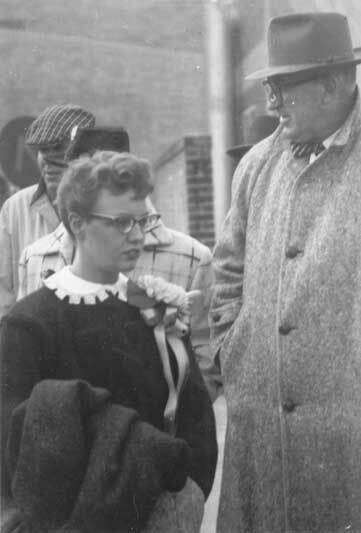 Joe Madagan, manager of the 1957 state championship team, said Conn kept his charitable actions quiet because he would've been embarrassed had the public known of them. "Time and again, I would observe a young person come to Coach Conn to tell him (he) did not wish to make the trip with the team because (he) could not meet the dress code of NNHS," Madagan wrote on an Internet site dedicated to the school's history. "A phone call to one of (Conn's) many friends would soon have the embarrassed young athlete looking like he stepped out of a fashion magazine." Conn spent his final years as a ticket manager for the Virginia Squires of the American Basketball Association and fishing. He died in September 1983 at 78, after battling diabetes for several years. Newport News survived as a high school only one year after Conn's retirement. It became an intermediate school in 1971 and later was converted to Navy housing. But many of Conn's former athletes live on, graying, in their mid-50s or older, so the memories of their former coach live on. They remember the cigar, the stopwatch, the whistle, his shrieking voice and his hug. They remember his tough love. "You've got to be tough," Conn told the Daily Press in 1970. "You've got to work 'em hard, but in the end you've got to show 'em you love 'em." Conn is mentioned in "Sophie's Choice," Newport News native William Styron's 1979 novel later made into a popular movie starring Meryl Streep and Kevin Kline. 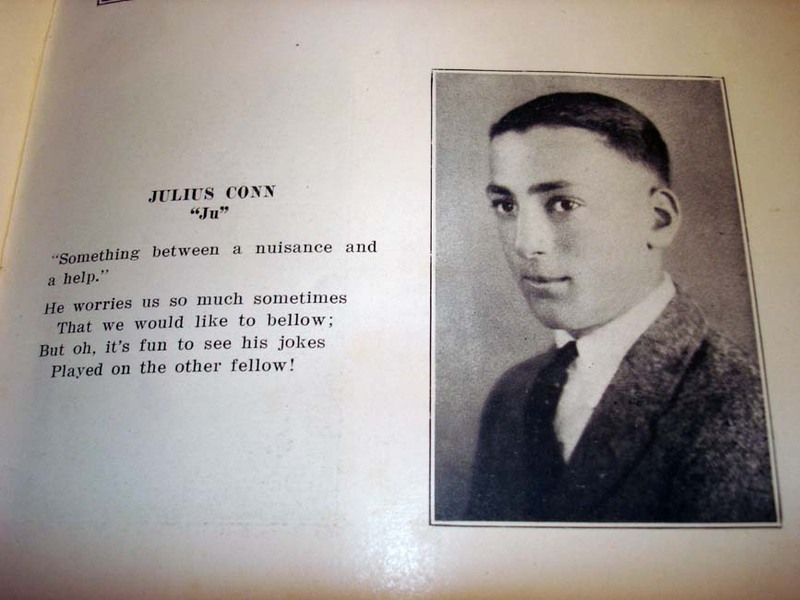 Stingo, the story's narrator, refers to Conn, a Jew, while describing the "mysterious" Jewish worship services in Newport News during his pre-World War II youth. "I could not understand how my adored Miriam Bookbinder, or Julie Conn, the volatile high school athletic coach whom everyone idolized, could survive such a Sabbath environment." One of Conn's most illustrious distinctions came in 1951, when he was named the Peninsula Sports Club's first Man of the Year. 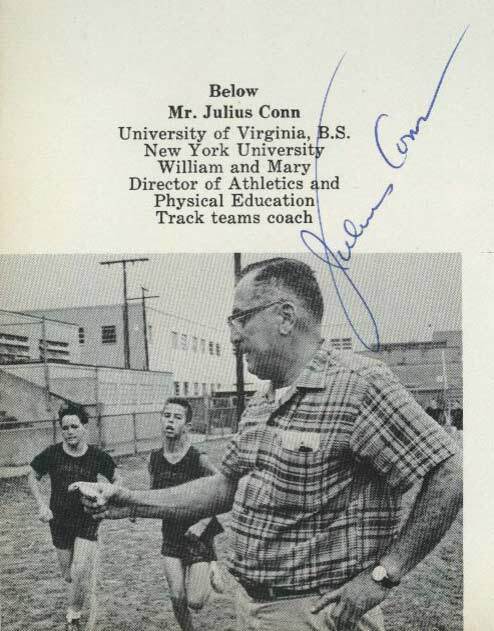 Conn was selected in 1968 as the National High School Coaches Association Track and Field Coach of the Year. Conn was inducted into the Virginia High School Hall of Fame in 1991, a year after his greatest track athletes — Benton Dodd and Doug Dickinson — were inducted into the inaugural class. Conn was inducted into the Athletic Hall of Fame of the Virginia Lower Peninsula and was inducted into the inaugural class of the Virginia Sports Hall of Fame. The annual Conn-Madden Relays, held each spring at Todd Stadium in Newport News, are named for Conn and legendary Huntington High coach Thad Madden. In 1930, Julie Conn married Garland January, who also taught at Newport News High and became a guidance counselor at the school. 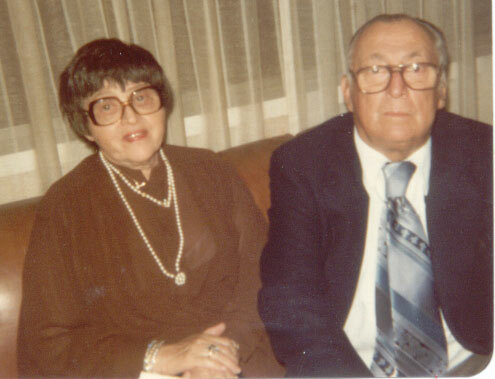 They were married for 53 years and had two children, the late Julius Conn Jr. and Harry Conn, both of whom played basketball at Newport News. Conn coached Julius Jr. but didn't play him much because he was afraid he would be accused of favoritism. Conn stopped coaching basketball in 1953 rather than be in a similar situation with Harry. Julius Jr. became a vascular surgeon and Harry became a dentist. Julie Conn worked nights at his brother's drug store at 24th and Jefferson Avenue to finance his sons' education. "My father wanted us both to become doctors," Harry Conn said. "My brother had expressed a desire to go into coaching, but my father and Lou Plummer (Newport News' football coach) talked him out of it, so I didn't even bother." Lefty Driesell, who guided NNHS to the 1958 state basketball title, said this of the late Garland Conn: "She was a wonderful, sweet woman, the perfect coach's wife. She never got excited. I said at their 50th wedding anniversary that she should get an award for putting up with Julie for 50 years." A superstitious man, Conn dispensed black rubber cats, the size of a thimble, to coaches and players who did something extraordinary. Conn called them mojos. "You wouldn't trade a mojo for a million dollars," said Mickey Marcella of Conn's 1952 state title team. "You knew you had done something special if Coach Conn had given you one." Driesell, who went on to coach four colleges to 786 victories, cherished his. He said he kept them until five years ago, when his wife asked him to discard them since they were "sacrilegious." When he lived in Atlanta, Driesell threw them into the rough of a golf course. When his 5-year-old grandson found one months later while playing outdoors, Driesell pocketed the black cat and still has it. "I remember Julie behind the wire bars in his office, looking down at the gym floor while we were at the free-throw line during games," Driesell said. "He'd say: 'Knock 'em in, baby. I got my mojo working. I'm rubbing my mojo.' "
(This) long article on Coach Julie Conn (was) in Sunday's Daily Press. I was pulling on my track shoes before a meet when Coach Conn walked by and spotted a bandage on my right foot. I told him I had an ingrown toenail and had it cut out. "YOU DID WHAT? YOU DUMB #%^*!!!. DON'T YOU EVER SEE ANY DOCTOR OF ANY KIND WITHOUT CLEARING IT WITH ME. YOU HEAR?" at the suggestion of Dave Spriggs ('64) of VA - 06/24/03.